Is a Ductless Split System Right for Your Home? One of the trends these days is going ductless instead of traditional HVAC systems. Ductless systems offer a variety of benefits over their duct counterparts. They are relatively easy to install, energy-efficient and give you great control over the temperature of a particular room. That said, they do have some downsides as well. We are going to give some of the pros and cons of ductless systems and help you figure out if adding one is the best idea for your home. Ductless split systems are highly flexible. You can basically put them wherever you want. This makes them ideal for additions to your home or the garage or rooms that do not contain ducts. They also are super energy efficient and can save you some serious cash on your energy bills. Ductless systems also work as air filters which makes the air in your home cleaner and healthier for you. Not only this, since they are so energy efficient, they are better for the environment. This is a win-win because they not only lower your carbon footprint but also may make you eligible for some tax credits! Although some of the newer models are getting better at handling the rigors of serious winter, most ductless models are not great with heating up your house during sub-zero temperatures. They are better suited for slightly more temperate and warm climates. Going ductless can also be more expensive than the similar window and baseboard models (think the kind you see in hotels). Particularly if you are looking for a single-room solution this may cost you 2-3 times as much. Finally, they are not exactly aesthetically designed. You have an option of usually white, grey, or black and a fairly large wall-mounted protruding structure. Some models look sleeker than others, but you definitely should consider how it will look. Everything always goes back to your budget. 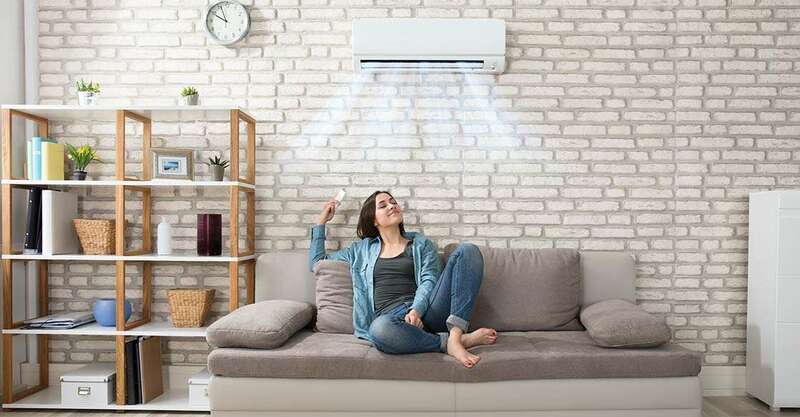 In the long run, going for your whole house to be a ductless split system can save you money while giving you a lot of flexibility as far as temperature control for each room. However, it comes with a high upfront cost that will take time to balance out. They work best in small situations. This is when you need heating air conditioning in a new addition or where your existing system may not be up to the task in certain parts of the house. They are also great in situations where there is no existing ductwork. Although these systems are not inexpensive, they are a lot cheaper than adding ductwork to an existing house along with the hassle, time and wear and tear that you can avoid by going this route. To be sure a ductless split system is the best option for you, make sure you contact an HVAC specialist and a good contractor. Together, they can create the ideal solution for your house so that you can always be comfortable inside no matter what the temperature is outside!